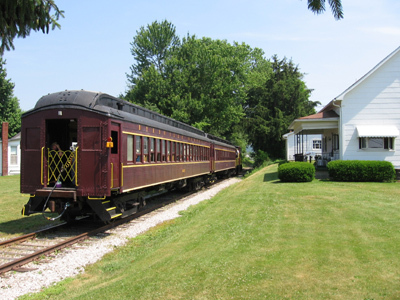 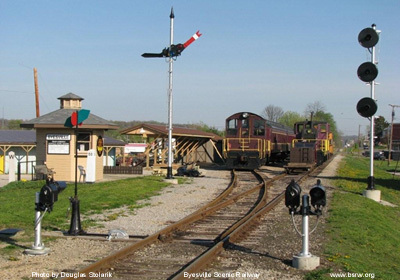 Byesville Scenic Railway depot and excursion train at Byesville, Ohio. 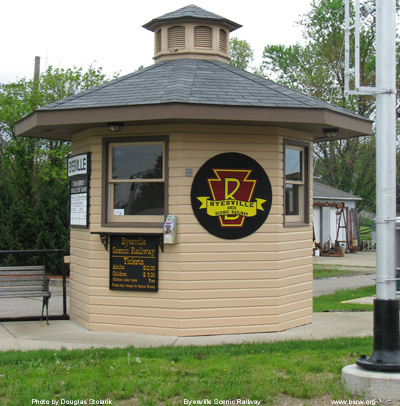 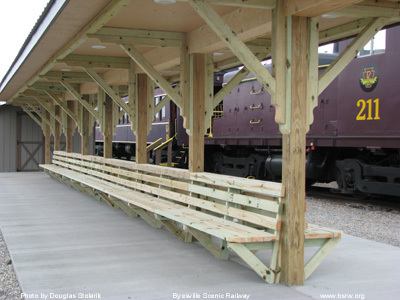 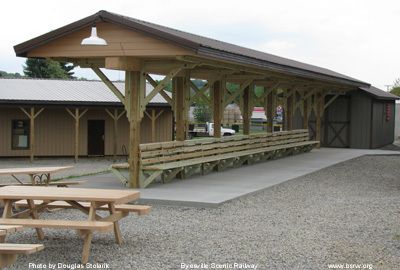 Our new passenger shelter, built April 2009. 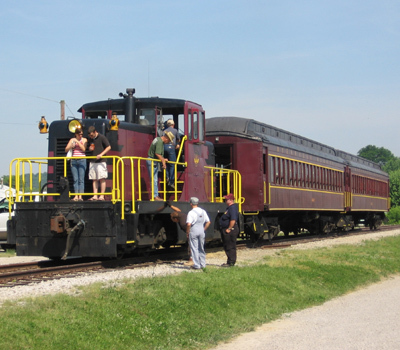 Visitors and crew members looking over the train. 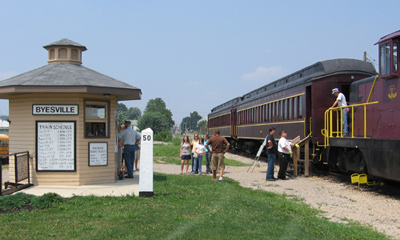 Byesville Scenic Railway depot as it appeared June 2006. 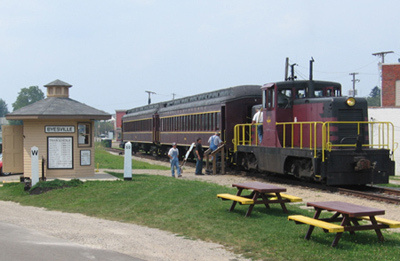 Byesville Scenic Railway as it appeared June 2006. 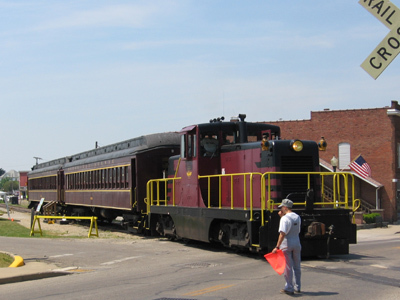 Departing southbound at Second Street crossing, Byesville, Ohio. 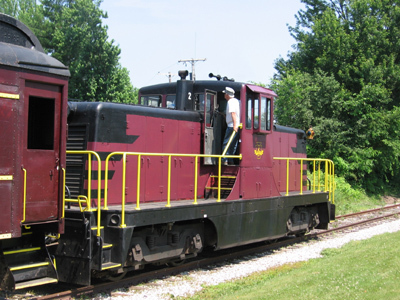 BSRW's General Electric center cab locomotive. 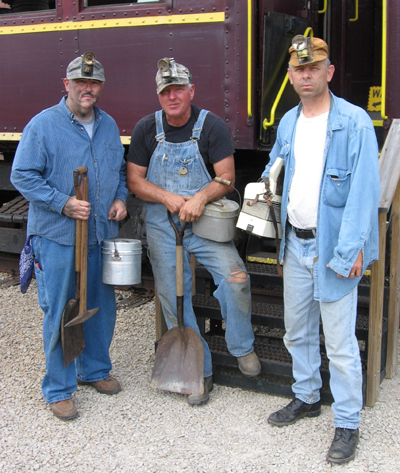 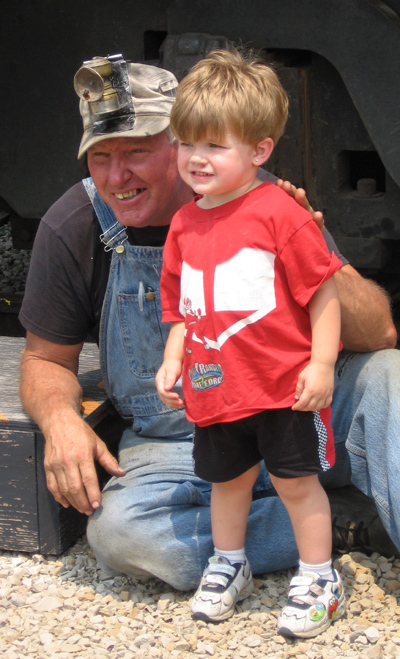 Having fun with our coal miners.